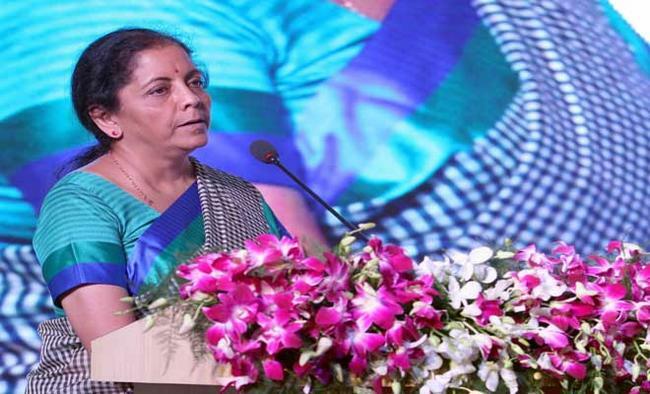 New Delhi: The Congress on Thursday demanded Defence Minister Nirmala Sitharaman's resignation accusing her of "misleading" the country after former HAL chief T.S. Raju refuted her claim that the defence undertaking did not have the capability to build Rafale fighter jets.Leading the charge, Congress President Rahul Gandhi earlier in the day tweeted: "The RM (Rafale Minister) tasked with defending corruption has been caught lying again. "The former HAL chief, T.S. Raju, has nailed her lie that Hindustan Aeronautics Limited didn't have the capability to build the Rafale. Her position is untenable and she must resign." Subsequently former Union Minister Manish Tewari citing Raju's assertions made to a national daily, reiterated the demand for the Defence Minister's resignation.He said the Modi government's "web of lies" surrounding the controversial defence deal has been demolished. Besides asserting that the Bengaluru-headquartered Hindustan Aeronautics Limited's (HAL) capability of building the French fighter jets, Raju also claimed that Dassault and the state-owned aerospace and a defence company had signed a mutual work-share contract and given it to the government. "Raju, who retired on September 1, has absolutely demolished the entire case that the Modi government has tried to build in the last few months. "He has not only asserted HAL's capability but also revealed about the signing of a mutual work-share contract with Dassault Aviation (the French aircraft manufacturer of the fighter jet at the centre of the controversy). "In the light of clear and unequivocal statement of facts by the former head of HAL, we demand the resignation of the Defence Minister on the charge of misleading the people of the country," Tewari told the media here.He also endorsed Raju's call for the Modi government to make public the files concerning the deal. Targeting both Prime Minister Modi and Sitharaman, Tewari reiterated the Congress' demand for a Joint Parliamentary Probe into the deal announced in 2015.The fresh attack against the Modi government came a day after the Congress on Wednesday approached Comptroller and Auditor General of India (CAG) Rajiv Mehrishi seeking a special and forensic audit into the deal which has caused "loss" to the exchequer and "endangered" national security.